In 1800 books were made as they had been for over a millennium: hand-sewn rag-paper pages with custom-made leather bindings. Within twenty years the industrial revolution had spread to bookbinding, allowing mass-production techniques that gave publishers their first opportunity to use book covers as advertisement for the material within. 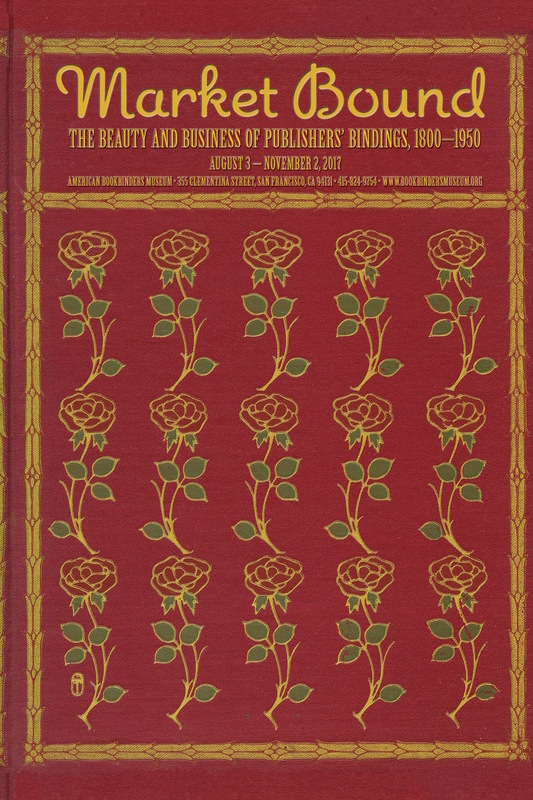 Market Bound: the Beauty and Business of Publishers Bindings, 1800-1950, looks at the rise of the commercial book cover, meant to draw the eye, focused on diverse genres, and increasingly signaled the reader’s taste and status. From children’s books to encyclopedias, these mass-produced, uniform covers signaled an industry using new tools to reach a growing audience. Even today, their beauty and style enchant.